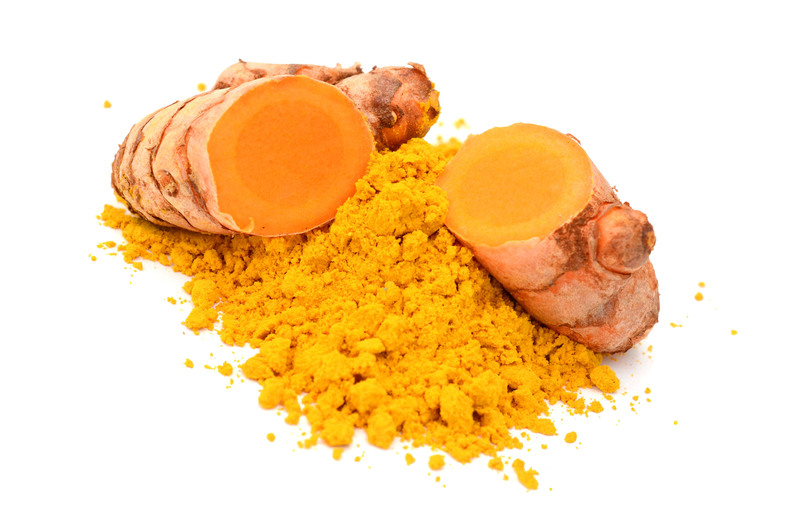 Curcumin is a yellow dye derived from the rhizome curcuma longa. It is a lipophilic phenolic substance that has significant effects on human health. According to studies it has antioxidant, anti-cancer, anti-inflammatory effects, prevent civilization diseases, i.e. atherosclerosis, diabetes, The anti-tumor and anti-inflammatory effects are very important, which are mentioned in the following text. For a long time we have been considering including curcumin in our offer of high quality extracts from medicinal mushrooms. And since more than 50% of customers are oncology patients, we think it’s the right decision. The magic of medicinal fungi consist of being the first to strengthen our defensive capabilities (defensive Qi), and is able to act more effectively against various pathogens, including cancer cells. Both active substances and individually are able to act cytostatically and cytotoxically on cancer cells. This is demonstrated by many studies. Second, medicinal mushrooms strengthen human vitality and life force (nourishing Qi), which is extremely important especially when a patient undergoes conventional treatment (chemotherapy, radiotherapy, biological therapy). The only thing that mushrooms cannot effectively do is break blockages. It is not in their nature (they do in the end, but through our immune system). And tumors are blockages (blood stasis) according to Chinese medicine. And curcuma has long been used in Chinese medicine to breaking blood statis. This is used for the treatment of painful conditions of different etiology. It is excellent for various rheumatoid problems, where its significant anti-inflammatory effects are used. Curcuma also sets the Qi into motion, harmonizes the liver and gall bladder. So it is excellent for various digestive disharmonies. See the following text for more on the individual effects of curcuma extract. Unlike mushrooms used for hunger, curcumin is used after meals, because fat improves it absorbability. Many in vitro studies have been conducted on cultures created from cancer cells, in vivo in animals as well as clinical trials confirming the efficacy of curcumin for various types of cancer, whether lung, prostate, breast, pancreatic, etc. In the case of clinical trials, curcumin is used in combination with other anti-cancer treatments. In order to learn how curcumin works and how it affects cancer cells, it is necessary to use testing right on cancer cells. Curcumin uses many mechanisms to limit tumor growth. It reduces oxidative stress, reduces the formation of free radicals, thus acting in an anti-cancer and protective manner, since free radicals have the ability to damage DNA and can cause mutation in the cell and its transformation into cancerous one. It has been confirmed that curcumin blocks the cell cycle. The cell has to go through the cycle in order to multiply. The halting of the cell cycle (in this case the inactivation of cyclin-dependent kinase) means that the cell cannot be divided and that there is no increase in the number of tumor cells and the volume of the tumor mass. It can also strengthen the parts of the immune system involved in the fight against cancer cells, i.e., increase the numbers and activity of Th1 lymphocytes to the detriment of Treg lymphocytes that dampen the immune response. It also reduces angiogenesis and the metastasis of cancer cells. Tumor cells, which divide very rapidly, need a large amount of nutrients and oxygen, so they exclude substances supporting the formation of new blood vessels. These new blood vessels then feed them with the necessary nutrients. If angiogenesis is limited, the growth potential of the tumor is reduced. Metastasis is then reduced by limiting the break down of the intercellular mass. If this is “loosened”, the easier and further the tumor-released cell gets into the body, blood circulation, etc. Curcumin blocks enzymes that break down the intercellular mass and it is a metalloproteinase. It also limits the occurrence of surface molecules, which permit the cancer cell to be attached to the substrate and its further traveling, so-called adhesion molecules. Curcumin also kills cancer cells, i.e. triggering signaling paths leading to the apoptosis of the cell. It activates factors that promote apoptosis and lead to the activation of the fatal caspases, and blocks the factors preventing apoptosis. And that is not all, the destruction of tumor cells also inducing autophagy. In this case, the cell is essentially “consuming” and ingesting itself. This is a complex process that leads to cell death. It is possible to remember that the addition of curcumin to conventional cancer treatment will enhance its effectiveness and protect against its negative effects. Thanks to curcumin, it is also possible to treat cancers impervious to normal treatment, i.e. resistant.